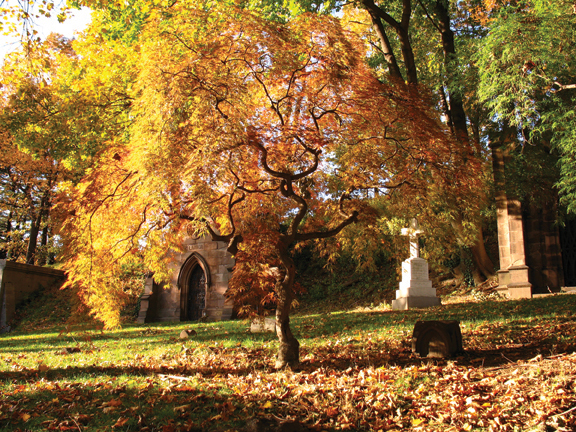 Green-Wood Cemetery offers a variety of special tribute programs to honor and memorialize loved ones. From our Adopt a Tree and Bench programs to our Forever Flowers seasonal flower program for indoor mausoleums, Green-Wood’s Special Tributes commemorate a life in elegant and timeless ways. For additional information on adopting a tree or bench, please call (718)210-3073 or email jconnolly@green-wood.com. For additional information on our Celestial Lights or Forever Flowers programs, please call 718-210-3066 and speak with one of our representatives or e-mail specialtributes@greenwoodcemetery.org. Do you have a special tree in Green-Wood that you are particularly fond of? 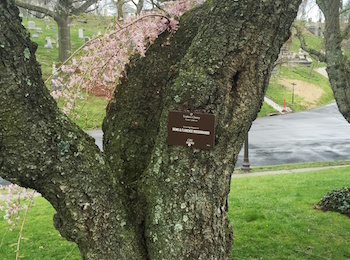 For a tax-deductible contribution, you may adopt one of the many trees in Green-Wood. Your gift will allow us to give this tree all the tender loving care it requires. A plaque commemorating your generosity and bearing a special message, your name or the name of the person you are honoring, as well the species name, will be placed on the tree for a period of one, five, or ten years. At the end of the adoption period, you will be given first opportunity to renew. 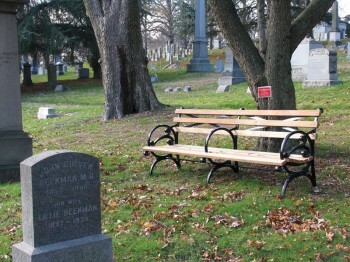 You may adopt one of Green-Wood’s beautiful Teak Benches for a $1500 tax-deductible contribution. Located where visitors can enjoy the landscape and inspiring views, benches are available for adoption on beautiful Fern Avenue, near the Sylvan Water pond, near the Gothic Arch, in front of the Historic Chapel, and in several select locations. Green-Wood will work with you to choose the site best suited to your wishes. Designed for the 1939 World’s Fair and used in outdoor spaces and parks throughout New York City, these ornate teak benches with circular cast-iron armrests grace the public areas of Green-Wood, Central Park, Riverside Park and more. An etched stainless steel plate will be installed on the bench memorializing your thoughtful gesture. For additional information, please call 718-210-3066 and speak with one of our representatives or e-mail specialtributes@greenwoodcemetery.org. Designed specifically for the special vases on crypt fronts in Green-Wood’s Hillside, Crestview, Garden & Indoor Mausoleums, these breathtakingly lifelike floral arrangements are a beautiful and thoughtful tribute to a loved one. Selections are subject to availability. If your first choice is no longer available, an alternate selection will be made for you. When your annual subscription expires, we will send you a reminder with an order card and a brochure showing our new collection of flowers. Please be advised that if you own a crypt with an oversized crypt front, such as a companion or couch crypt in which there are two or more entombments, and you wish to place flowers in each vase, you are required to purchase two subscriptions, one for each light vase unit. A one-time installation fee of $200 is charged for each vase installation at the start of the program. The vase will be installed in approximately four to six weeks. If you own a crypt with an oversized crypt front, such as a companion or couch in which there are two or more entombments, and you wish to install two vases, you are required to pay two installation fees and purchase two subscriptions, one for each vase unit. Please be advised that the cast bronze vase shall remain the property of the cemetery. 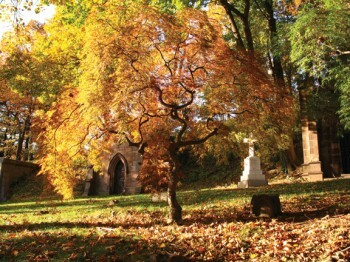 The vase shall be used by Green-Wood Cemetery, and no other, in conjunction with its floral program which is available by subscription as described above. All vases shall be installed in a location predetermined by the Cemetery, with no exceptions. If the installation of a vase obstructs any portion of an epitaph, the subscription application shall be denied.